More than three years after the triple core meltdown in Fukushima Prefecture devastated the lives of thousands of residents, the effect that the radiation release is having on children’s thyroid glands still weighs heavily on residents’ minds. The iodine-131 released into the air by the meltdowns accumulates in the thyroid gland, increasing the risk of thyroid cancer. The gland is responsible for regulating hormone levels in the body. Children are considered especially vulnerable. After the 1986 Chernobyl disaster, more than 6,000 children were diagnosed with thyroid cancer by 2005, according to the U.N. Scientific Committee of the Effects of Atomic Radiation. Given the local anxiety, the Fukushima Prefectural Government in October 2011 started offering free thyroid screenings for everyone who was 18 or younger at the time of the disaster. The prefecture has 370,000 residents in that age group, and 300,000 had received voluntary checkups by the end of March. The program may look good on paper, but it has drawn flak from medical experts who say it is far from adequate in determining a link between the cancers found and radiation exposure. At the core of the criticism is the prefectural government’s policy of not releasing data on the results of the checkups, such as what stage of cancer the examinees are in. This lack of disclosure — based on prefectural privacy policies — has made it hard for experts to accurately judge whether the abnormally high incidence of thyroid cancer in Fukushima is being caused the nuclear debacle or the higher screening rate. In addition, the prefecture has no authority to follow up on children who test positive for cancer, meaning its data on the medical effects of the aftermath of the disaster will be limited. 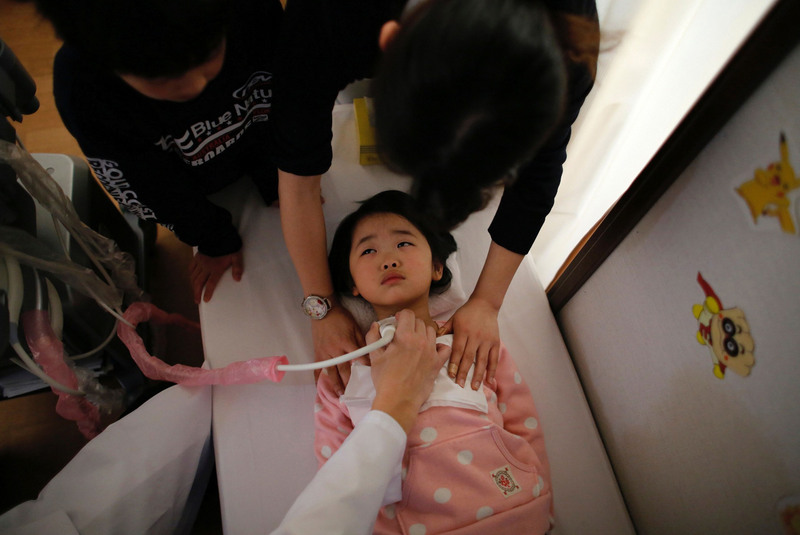 As of March, the prefectural government found 90 children with suspected thyroid cancer after nearly 300,000 examinations. The prefecture was able to confirm that 51 of them opted to have surgery to remove part or all of their thyroid gland. This figure is clearly high compared with a thyroid cancer registry rate of around one to nine per 1 million teens in Japan, experts say. But because thyroid cancer often causes no symptoms and thus goes undiagnosed, experts point to the possibility that the ratio in Fukushima has turned out to be higher simply due to the widespread screening. “The screenings may have ended up finding cancer that would have never have caused a health problem for their entire lives even if left unattended,” said Kenji Shibuya, a professor and chairman of the department of global health policy at the University of Tokyo. The thyroid cancer rate among children near the Chernobyl plant started to rise four to five years after the catastrophe, mainly because they kept drinking highly contaminated milk and local produce, according to UNSCEAR. But in Fukushima, several studies have confirmed that internal and external exposure levels were indeed much lower than those around the former Soviet power plant, which met a much more violent fate. “Given the low radiation exposure levels, it is possible that detected cancers were the kind of cancers that would never do harm. But they were found because of the screenings,” said Shibuya, a member of a panel tasked with assessing the result of the thyroid examinations in Fukushima. He added that there is also a possibility that patients underwent unnecessary surgery. 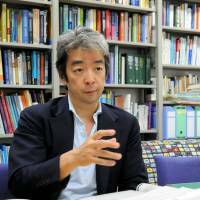 To examine the possibility of overdiagnosis— diagnosis of a malady that never causes symptoms or death — Shibuya and other medical experts have urged Fukushima Medical University, which is heading up the examination program, to disclose its findings on treated patients, such as the percentage of thyroid cancer cases that spread to the lymph nodes or elsewhere in the body. The university refuses to disclose the data for privacy reasons. The Fukushima Prefectural Government meanwhile says it doesn’t have the authority to track down and gather the information from medical institutions because treatment after diagnosis is outside its jurisdiction. Fukushima official Yukio Kakuta acknowledged that the prefecture can’t track down all patients. “Under the current system, we can’t follow up on all of the patients,” Kakuta said. “In addition to the issue of privacy, it’s my understanding that some patients and their parents are skeptical of the prefecture-led health checkup program itself, and that some people don’t trust Fukushima Medical University. “I believe some of those people have gone to other hospitals to get their thyroid glands checked and treated,” which makes it difficult for the prefecture to find out what happens to them over the long term, he said. Kakuta said the information disclosure issue will be discussed at the next meeting of a local committee in late August but will stay in place for now. 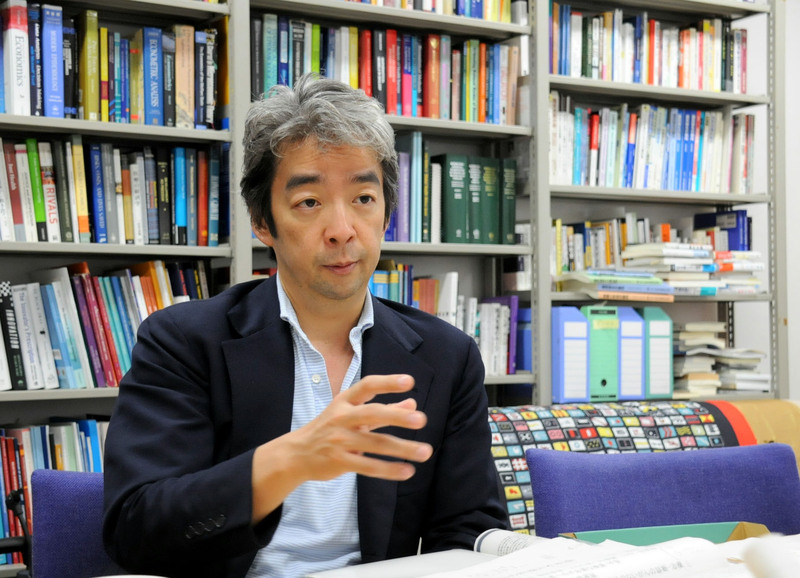 Shibuya of the University of Tokyo pointed out that the disclosure of information on the stages of the cancers does not violate patient privacy. “They only have to disclose information on percentages of various cancer stages, such as the cases when the lymph nodes are infiltrated with malignant cells,” he said. With the spreading use of sonography, overdiagnosis of thyroid cancer has become a concern worldwide. While the number of cases is on the rise, experts say the mortality rate remains unchanged. 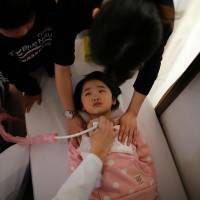 Most cases of papillary thyroid cancer, the type that appears most prevalent among children in Fukushima, have a slow growth rate and very low risk of death, the experts say. Therefore, some hospitals in Japan nowadays tell patients with low risk thyroid cancer that long-term observation of their condition is an option to surgery. Iwao Sugitani, a professor and chairman of the department of endocrine surgery at Nippon Medical School Graduate School of Medicine, said about 90 percent of thyroid cancer cases in Japan involve papillary thyroid cancer. And about nine out of every 10 patients with this type of cancer face very low risk of death, with a survival rate of 99 percent 10 years after surgery. According to a study conducted by the Cancer Institute Hospital in Tokyo from 1995 to 2009 on patients with papillary thyroid cancer tumors measuring less than 1 cm with no infiltration or metastasis, a total of 283 people chose not to have surgery and opted instead to be monitored on a regular basis. None died nor saw the tumors spread to other parts of the body, according to the study. “Early detection and early treatment is recommendable for most cancers. But I don’t see much meaning in finding and conducting surgery on people with a small papillary thyroid cancer that would go undetected for their entire lifetimes” without screening, Sugitani said. Shibuya of the University of Tokyo also questions whether the mostly benign nature of papillary thyroid cancer and the option of having no surgery are being fully explained to the children and their parents in Fukushima. “Without such knowledge, it’s natural for most parents to ask doctors to perform surgery,” Shibuya said.